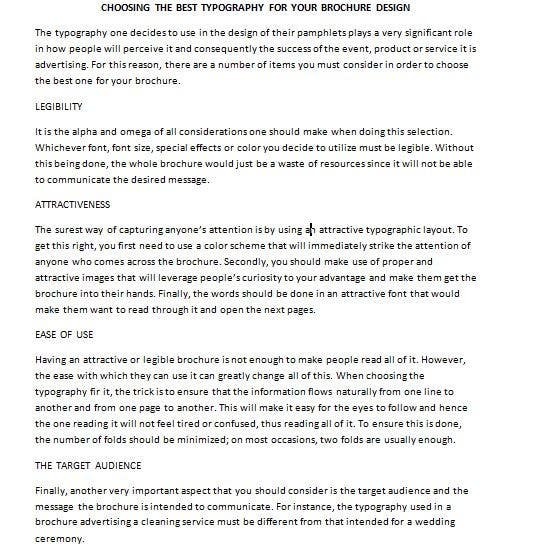 The article contains the tips on what to consider when choosing a typography format in a simple and understandable manner. They are also arranged in such a way that one leads to the next. I believe you will find the piece satisfactory.